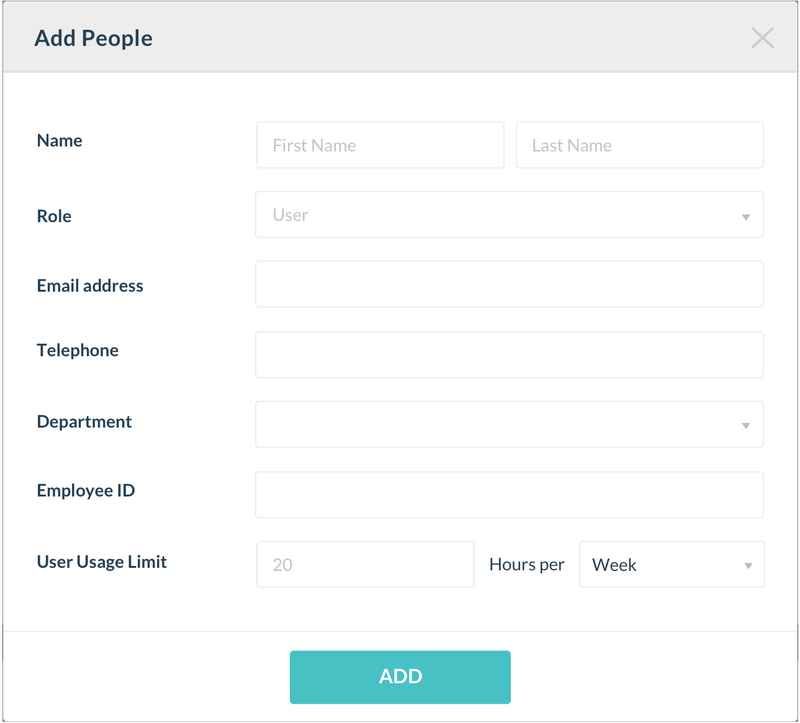 Business & Team Admins can invite employees to use Upflex through the People tab in the Business Portal. People can only be added to a team. If you have only a few employees using Upflex, you may only have one team. Companies with more employees may have multiple teams. From People > Teams, click on the more options indicator (three grey dots) and then choose Add People. When the popup window appears, add the user's details. If your company has any sort of Employee ID or employee number, you can enter it here for easier reconciliation and/or reporting. Here you can set a maximum number of hours your employees can use Upflex. You can set either weekly or monthly limits. When finished, click Add. The employee will receive an invitation in their email, and you can see their status on the Pending screen.